Art has been a part of Robyn’s life for as long as she can remember. ‘From the moment I could hold a pencil, I have been drawing and painting.There has never been a time without art’. Whether a landscape or an abstract painting, New Zealand’s wonderful water, sky and land are a constant inspiration for Robyn, who endeavours to evoke the feeling of being right there, enjoying the view, and breathing in the sun soaked or fresh crisp air. Robyn loves to capture the wild, wide expanse and the small, often overlooked details in our surroundings. Acrylic on canvas is Robyn’s predominant medium, and she likes to work on 3cm deep stretched canvasses, continuing the painting around the canvas edge.These paintings are ready to hang and do not require additional framing. Robyn has also worked in watercolour on paper and mixed media. 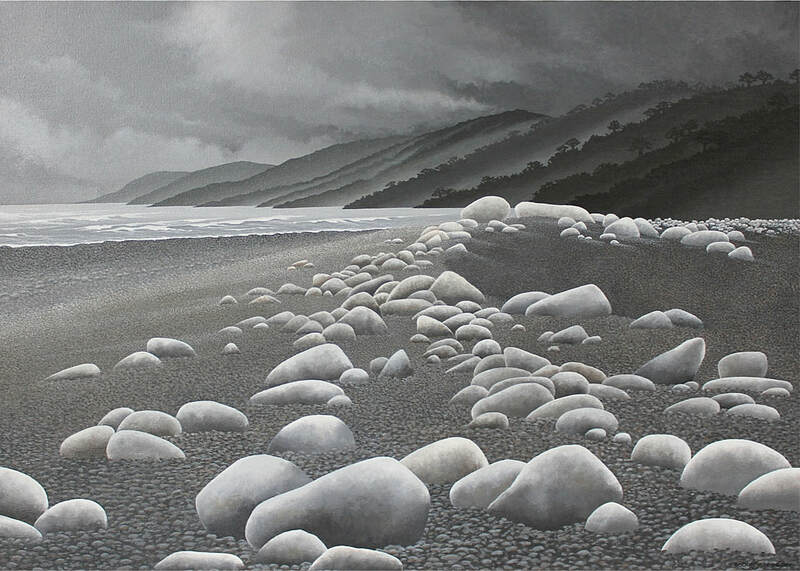 Robyn has been exhibiting work in galleries around New Zealand in numerous group, joint and solo exhibitions since 1993, and her work is in many private collections in New Zealand and around the world. A selection of Robyn’s paintings are also available as prints, and commissions are considered.